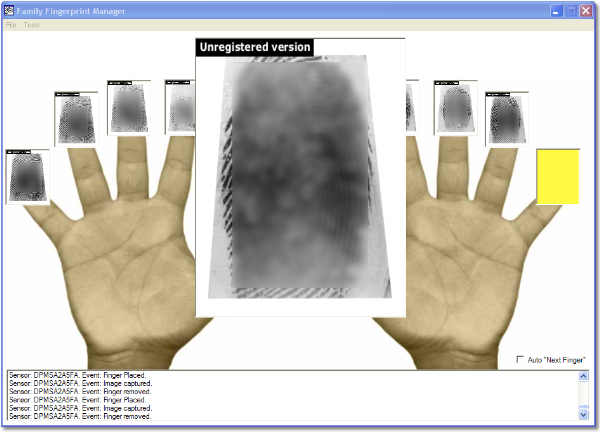 In this installment of the "Some Assembly Required" column, Scott Hanselman creates a Family Fingerprint Manager using .NET 2.0 that interfaces with the Microsoft Fingerprint Reader and the GrFinger SDK from Griaule. 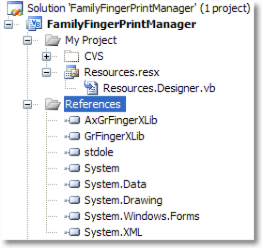 Summary: In this installment of the "Some Assembly Required" column, Scott Hanselman creates a Family Fingerprint Manager using .NET 2.0 that interfaces with the Microsoft Fingerprint Reader and the GrFinger SDK from Griaule. I love my Microsoft Fingerprint Reader and when I got it I knew I had to hack it write some software for it. Since there's already a lot of great security software out there like the Digital Persona software that Microsoft shipped with it as well as 3rd party software like GrFinger's Desktop Identity, I wanted to write something a little different. My wife and I made a New Year's Resolution to be more prepared for emergencies and the like in the wake of Hurricane Katrina. I figured, since we've moved all our identification and important papers into the a safety deposit box, why not a copy of our fingerprints as well? Griaule Software out of Brazil has a nice, clean COM API SDK that abstracts away the fingerprint hardware supporting a number of readers including Microsoft's. 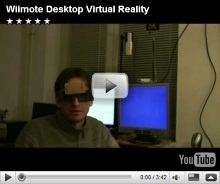 You can download a trial of their SDK software and use it for 90 days. They also include an open-source driver for the Microsoft Fingerprint Reader so you don't have to use the Digital Persona standard stuff if you don't want to. They've got an excellent sample code section with details on how to interface with a read using VB.NET, C#, Java, VB6, even Excel. 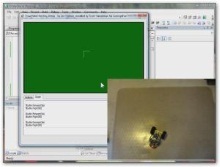 I started by adding references to their COM APIs and generating an interop assembly as seen in the picture at left. 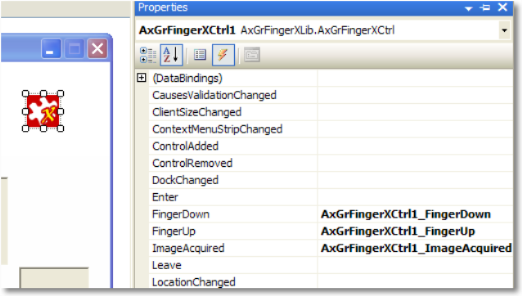 The AxGrFinger control library includes a small control that you can drag on to your WinForms design surface that exposes a number of Fingerprint-related events like FingerDown and ImageRequired that make interfacing with the hardware incredibly easy. I created a PictureBox on my WinForm that would display the fingerprint being acquired along with ten other PictureBoxes, one for each finger. The large picture box will appear only when an image is being acquired then disappear after we copy the large acquired image into one of the smaller "fingertip" images. The large PictureBox is passed in to a utility class along with a reference to the AxGrFinger control. 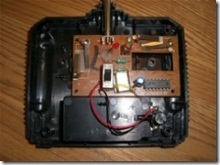 As the image is acquired a valid "Handle to a Device Context" or HDC (remember those?) 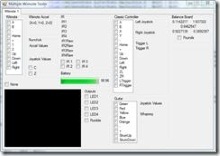 is passed into the CapRawImageToHandle method on the AxGrFinger control. When that handle comes back, we just update the large picture box and it displays the newly received image. 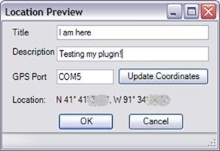 Once the image has move into the world of WinForms, it's considerably easier to manipulate using the System.Drawing APIs. The images from the large picture box are of very high quality and are copied into the smaller fingers one at a time. There's ten fingerprints (assuming you have ten fingers) to save, but should we save them as one file or ten? I decided that folks would probably want one file per family member using File|Open and File|Save method, but they'd want to reserve the right to export all the fingers as individual (PNG) images. I created a very simple in-memory representation of a Fingerprint Database like this. It's actually slightly more complex with custom constructors as such in the actual code, but this is the general idea. I'm going to be storing the high-quality image as a byte array rather than a System.Drawing.Bitmap or Image because a byte array is very easily serialized as XML. 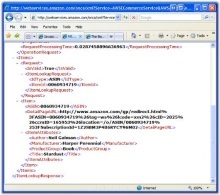 Each per-person finger database, like scott.finger for example, will be saved as XML similar to the example below. The byte is automatically turned into a BASE64'ed string by the XmlSerializer. This might be considered inelegant by some, but disk space is cheap, and the code was fantastically simple. An easy enhancement would ZIP up the file, but the savings would only be about 30-40%. Loading the fingers back into the Form is the exact opposite of saving. We use a standard Windows File Dialog with the filter set to show only .finger files. The file is deserialized using the XmlSerializer and the images are loaded back into the appropriate PictureBox. OpenFileDialog1.Filter = "FINGER files (*.finger)|*.finger|All files (*.*)|*. *"
I used the Tag Property of the PictureBox to store the name of the finger. 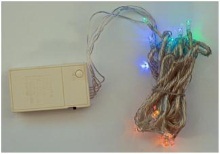 The name is also stored in the .finger file and used to correlate the fingers and PictureBoxes. The export works similarly, except I save the contents of each PictureBox to the selected directory using the given name as a basefilename. For example, if the user said they wanted to export to Foo.png, I'd create 10 files with names like Foo.l1.png, Foo.r2.png, etc. You can see how easy it is to change image formats using System.Drawing.Image. To get this sample to work, you'll need a Microsoft Fingerprint Reader (or other compatible reader) and the Griaule SDK installed. I recommend you uninstall the Digital Persona drivers that came with the Fingerprint Reader otherwise this application may compete for the same hardware if the Digital Persona software is running in the background. ...or export to Word using Office Automation and the Microsoft Office Interop Assemblies. Add security by using DPAPI or encrypt the Fingerprint files directly. Add compression by zipping the .finger files up programmatically. Have fun and have no fear when faced with the words - Some Assembly Required! If you do extend this application, be sure to release the source. Thanks again to Griaule for the use of their SDK. Scott Hanselman is the Chief Architect at the Corillian Corporation, an eFinance enabler. He has thirteen years experience developing software in C, C++, VB, COM, and most recently in VB.NET and C#. Scott is proud to be both a Microsoft RD and Architecture MVP. He is co-author of Professional ASP.NET 2.0 with Bill Evjen, available on BookPool.com and Amazon. His thoughts on the Zen of .NET, Programming and Web Services can be found on his blog at http://www.computerzen.com. i wana know how you get data from a finger print and then compare two finger prints to see whether they are the same, or just how to get datat from a finger print. This discussion is interesting. I may try it. I’ve had a fingerprint reader for about 6 months, but have some things I don’t like. Any suggestions would be appreciated. 1) The program seems slow. When it recognizes my finger with a ”Ding”, it takes what seems like quite a few seconds to display the menu. Is there any way to speed this up? 2) Today it is not displaying the menu at all. Is there something screwed up? If so, how can it be fixed? 3) I’d like to use the reader for Excel programs also, but it will only handle Internet explorer. How do I get it to process Excel files? Hai , i would like to know , how we can access the finger print events in aspx page ....? i want to use this as an web application. i am a c# beginerr ..
waitng for ur repleys ..
@Sabin: Lets take a step back and think about how we interface with web pages and how they are hosted. You serve out HTML to your client and your server is what has all the events. In a web page, you don't have access to the client's computer directly so events won't fire off. So long story short, you might be able to, but it really isn't practically plus what I'm thinking of would require an end client to install an Active X control which most people won't do. Any suggestions ou Sample ? Do you know of anything that i can use to encrypt user data (files and folders) with the MS Fingerprint Reader? Its available with the Digital Persona but not the MS reader? @sita: While it semi can be done in ASP.Net, really is more of an application that requires a computer. Instead of a Win32 app, you'd just have a Webpage doing stuff. You can't have a remote computer do this. I was trying to integrate MS fingerprint reader with the latest SDK from Griaule and I did not succeed. I cannot 'see' the scanner from any of the samples (from SDK or directly from the web - there is a Java app.). Do i have to follow some specific steps in order to do the installation ? (ie. 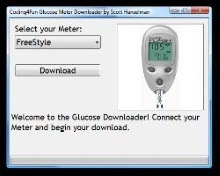 first install Griaule - with the driver for DigitalPersona and than plug in the MS FP reader ... or first install the MS FP reader - with the drivers provided on the CD than install the SDK and replace the driver with the one from the SDK ... ???). Can i get the app (I did not find a link on the page). 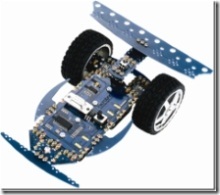 Can you tell me how can I test that the MS FP reader and the Griaule SDK can 'shake hands' ? If you want to can write me at gmail (use my name @gmail.com). I have futronic fs80 fingerprint scanner which will be linked with SQL Database and I need the interface code for the scanner in C++. Why is it there is only one SDK on the net for these fingerprint readers (Griaule) ?? Why has no one come up with a way to read fingerprints from this device without installing their drivers/sdk? please can anyone tell me where i can get the driver software for the microsoft fingerprint reader. @Raza, I know the microsoft one worked due to this example. However I'm not sure if it works with 64 bit systems due to drivers. Hi, I have to introduce fingerprint reader in my company please can you advise me which scanner suitable for us by using vb.net . Please guide me. Will this code work for VBA. 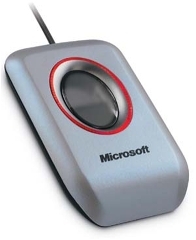 I want to use Fingerprint scanner with Excel VBA. Can you do for VBA users.